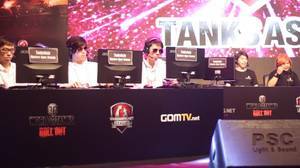 In little over two years World of Tanks has become one of the world's most popular games, and a high-profile eSport boasting prize pools in the millions. 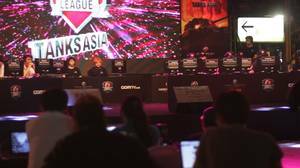 James Cullinane travels to Thailand to attend the TanksAsia Masters Open Season Finals, and learn more about Wargaming.net's global conquest. 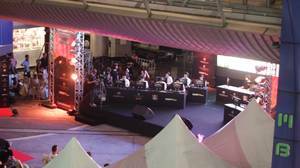 A small plaza nestled amidst an overpass, a discount mall, and one of the busiest strips in Bangkok seems an unlikely place to stage an elaborately produced regional eSports final. It’s after 10pm, and still an oppressive 39 degrees. 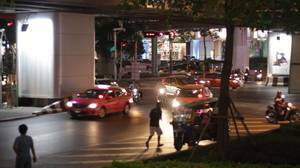 Exhaust fumes mingle with the siren scent of Bangkok’s notorious street stall cuisine, and the diminutive, improbably named CognacWine is barely audible above the fussy tooting of three-wheeled tuk-tuk taxis ferrying moist British tourists through the traffic on Rama 1 road. As he listlessly holds a large silver trophy adorned with ribbons, CognacWine tells our videographer to airbrush the imminent interview footage in post-production. Just to our right, his six U Are Dead teammates mill about smoking cigarettes while fanning themselves with a novelty-sized cheque for US$50,000. 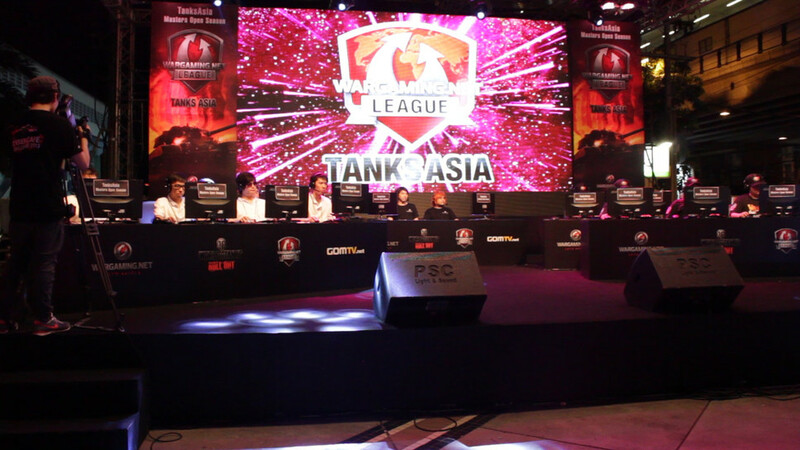 Under CognacWine’s leadership, U Are Dead have just won the TanksAsia Masters Open Season Finals, the culmination of a three-month World of Tanks tournament administered by Belarusian technocrats Wargaming.net. In a little over two years Wargaming.net has gone from videogame bit player to global industry titan, riding an armour-plated tsunami of enthusiasm for its free-to-play online competitive game loosely based on mid-century tank warfare. The rate at which Wargaming.net has grown is almost without precedent, and not just within the videogame industry. Based on growth in revenue and staff headcount, CEO Victor Kislyi believes Wargaming.net may be one of the fastest growing companies ever. That success is even more remarkable given the prevailing Western narrative of a floundering industry that may be approaching some kind of cataclysmic contraction to rival the great gaming crash of 1983-85. Recent headlines certainly don’t make for reassuring reading: EA CEO John Riccitiello abdicates after presiding over too many high-profile disappointments. He’s joined on the golf course by Square Enix president Yoichi Wada, whose company comically over-estimated consumer demand for its products by as much 100 per cent. Then of course there’s THQ, a publisher that folded altogether after years of wilfully ignoring market trends. 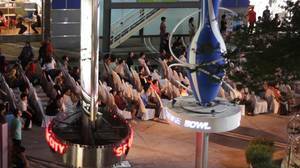 These are but a representative few. A trawl through the weekly industry chatter throws up hundreds of stories on the increasingly precarious boxed-game game. Meanwhile, Wargaming.net is giving World of Tanks away for free, and recording monthly profits in the “double digit” millions, according to Kislyi. If the CEO sits down in the morning and scans those apocalyptic headlines with a sense of schadenfreude, it could hardly be held against him. Speaking at the Game Developers Conference Europe in August, Kislyi recounted how, some years ago, he shopped the then in-development World of Tanks to Western publishers. Unable to convince California’s suits that World of Tanks – with its scruffy suboptimal graphics and ludicrous free-to-play business model – could be successful, Wargaming.net’s brass retreated back to Minsk and, apparently out of necessity, self-published the game. The Russian edition of World of Tanks was released in August 2010. 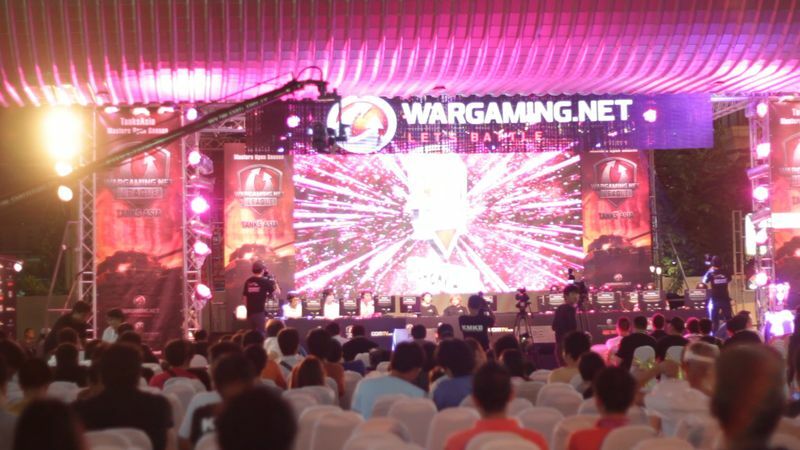 Within six months, Wargaming.net had turned slight to insight and released its so-called “cheap, Asian stuff” to a very receptive audience in China. Shortly after, World of Tanks was released in Europe and North America. Around the world today, there are more than 45 million registered World of Tanks accounts. In addition to its commercial success, the game has been critically celebrated for its pick-up-and-play accessibility, and its subsequent depth. Paying customers cannot buy any advantages non-paying customers can’t also access simply by investing time in the game. According to Wargaming.net, monetisation in any game shouldn’t be about finding the maximum threshold a handful of players are prepared to pay, because most players are unlikely to make a long-term investment in the game if they feel they’re paying too much. Instead, Wargaming.net’s corporate philosophy is not to try and ‘squeeze the unsqueezable’. This year, Wargaming.net also returned to America, not with ushanka-in-hand looking for investors, but as a cashed-up patron looking to acquire a number of beleaguered studios. Chicago-based F.E.A.R. 3 developer Day 1 was purchased for US$20 million in January, and rebranded as Wargaming West. It’s working on a console game that will be revealed at E3 next week. Gas Powered Games failed to impress gamers with a Kickstarter funding drive in February, and obsolescence seemed inevitable until Wargaming.net swooped in to acquire both the company and its intellectual property, including Supreme Commander, Demigod and Dungeon Siege for an undisclosed sum. In August last year, Wargaming.net even bought Australian middleware company BigWorld for a neat US$45 million. 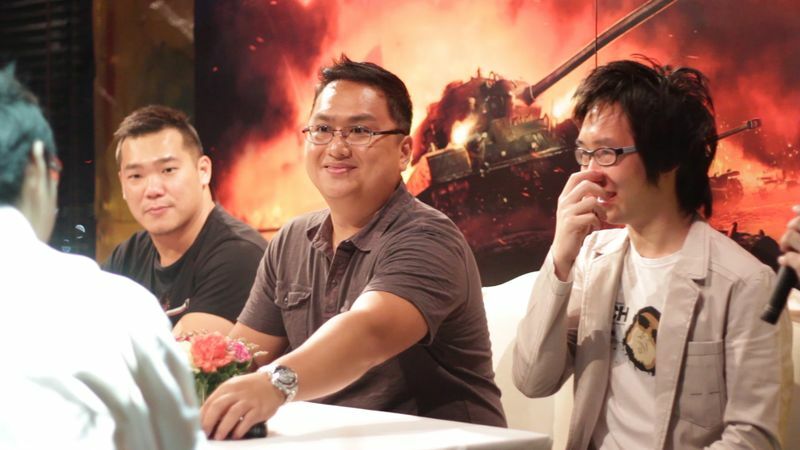 In March last year, Wargaming.net also expanded aggressively into South-East Asia after establishing a base of operations in Singapore under general manager Jasper Nicolas. Before he became the lynchpin of Wargaming.net’s South-East Asian business, Nicolas was COO of SEA Gaming, a localised operations service for developers and publishers looking to break into the territory. Nicolas has the easy, dressed-down demeanour of a tech veteran, and he’s possessed of the kind of candid and assured banter that comes with knowing all the news is good. Just as World of Tanks is increasing its presence in Europe and North America, it’s also very keen to capture greater mindshare amongst gamers in Australia and New Zealand, says Nicolas. Ahead of the official start of our interview, Nicolas enthuses about his favourite Australian team, the “Grumpies” – short for Grumpy Old Men, World of Tanks apparently has an especial appeal with an older demographic of gamers – who he says were unlucky not to be here in Bangkok tonight. Wargaming.net established its first beachhead at Supanova in Brisbane this April, and it also intends to take over the Armageddon pop culture expo in Auckland. But Nicolas pins Wargaming.net’s real D-Day as the Penny-Arcade Expo in Melbourne this July. Wargaming.net, says Nicolas, will have the largest presence of any company at the show. From there, the company plans community events, local tournaments, and more. As he speaks, it's becoming very clear that what he describes is a videogame community and public relations offensive on a scale not seen here before.